Bezel-Less Meizu Pro 7 Leaks again! Few days back, we reported that Meizu is working on a Full edge-less Display Smartphone. It looks like the report was real and Meizu will announce the Bezel-Less Meizu PRO 7 on December 24. The newly surfaced renders and Information from weibo shows Meizu Bezel-less Smartphone in works. 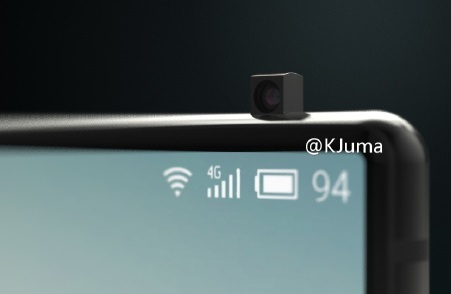 According to these leaked images, Meizu Pro 7 will feature a 5.62" FHD Display, 12MP rear and 8MP front camera. With 6.4-millimeter width this smartphone will come in two versions: one with 6GB of RAM and 64GB of built-in storage and another with 6GB of RAM and 128GB of internal storage. The Device runs Android with Flyme 5.1 on the top and has integrated Fingerprint sensor into the screen.